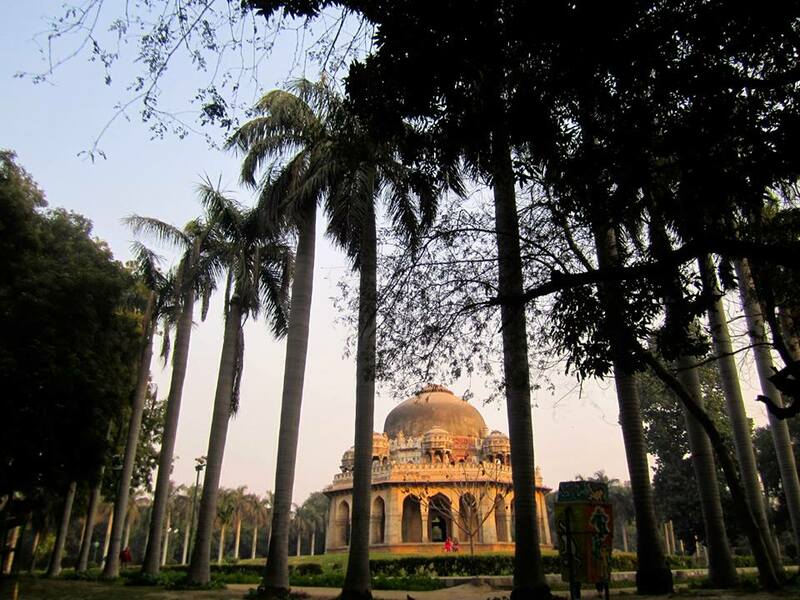 Lodi Gardens is one of my favorite places to do homework. I have noticed recently that all of my blogs have to do with traveling outside of Delhi. Although that does consist of over half of my program, I should probably also talk about what happens when I am in Delhi. Long story short, when in Delhi, I do a lot of homework, meaning I don’t usually have a lot to talk about. I live with a host family and one other girl from my program, Cassie. Our host family is a mom, dad, and their 22 year old daughter. They are all really busy so Cassie and I do a lot of things together. Every morning we have to leave for school at 8am. We have about a 10 minute walk from our house to the closest metro station. Then we take the metro for about 20 minutes and walk the last 20 minutes to school. It sounds like a lot of walking but I usually really enjoy it. 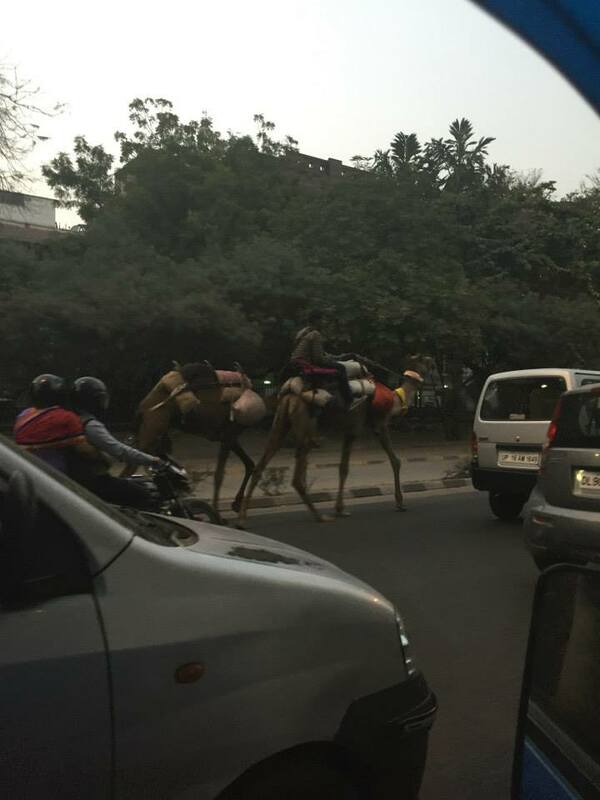 Walking the streets in Delhi is never boring. Seeing camels has become somewhat normal and it is great. It is fun to have a ‘morning route’ because we are starting to recognize people. It is nice to start feeling more like a local, even if I will never look like a local. At school we have Hindi class for 2 hours; 1 hour as a large group and 1 hour in small groups. After Hindi we have a 1.5 hour lecture on various topics that deal with public health in India. The lecturers are people from Delhi, usually professors but sometimes heads of NGO’s. It is really interesting to meet all these different professionals and learn from them. We are served lunch at school and we are usually done by 2 in the afternoon. I always try my best to go and see things in Delhi but usually I have to meet with teachers or do homework. My program puts a strong emphasis on school work. Sometimes it is really difficult to find the balance between being a student and a tourist but I have to remind myself that I came here to learn. The best way I have found to balance is to do homework at a place you have wanted to visit. I have written papers and studied Hindi while sitting on the lawn of a temple. 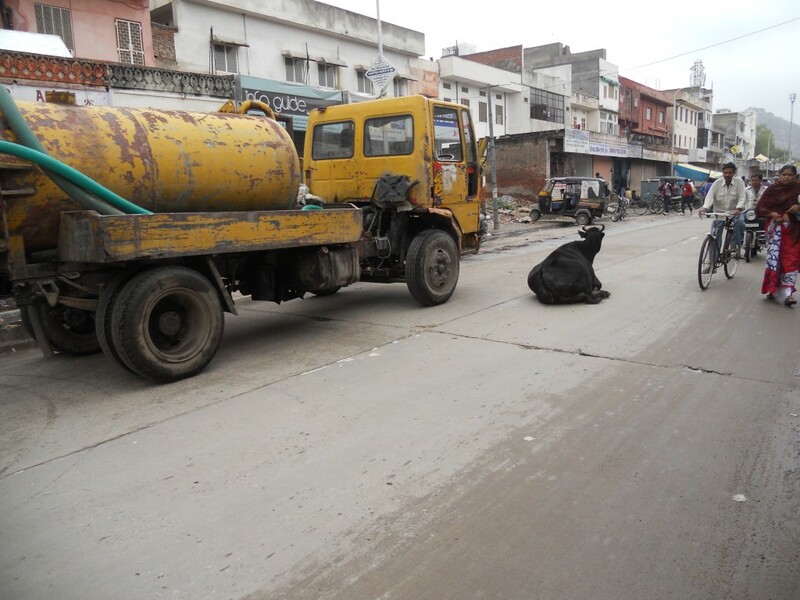 Do cows run the show in India? Yes. 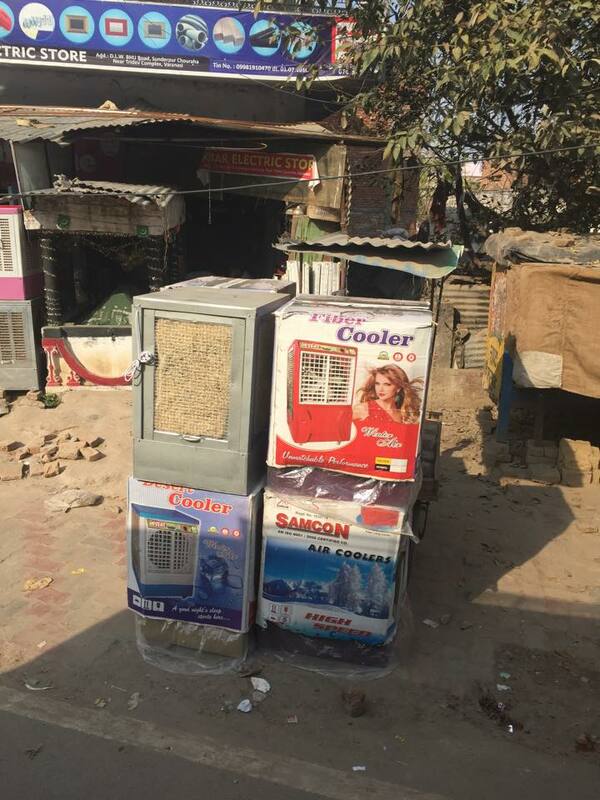 Taylor Swift’s new line of air conditioners-only found in India.